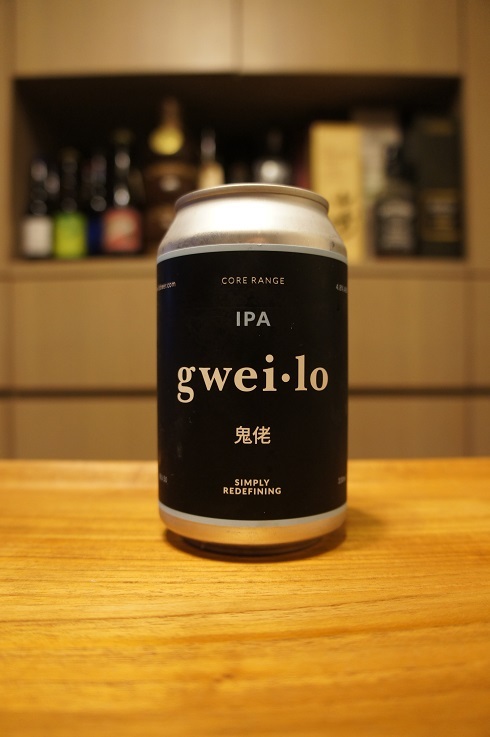 Brewer Description: (from can) Gweilo IPA is a session style beer, perfect for the heat of Hong Kong. 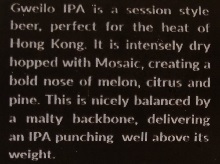 It is intensely dry hopped with Mosaic, creating a bold nose of melon, citrus and pine. This is nicely balanced by a malty backbone, delivering an IPA punching well above its weight. Intro: A 330ml can, with a best before date of 29th June 2019. Poured into a Spiegelau IPA glass. Appearance: A nice clear golden orange colour with a big three finger white head that had excellent retention and left nice lacing. Aroma: Orange zest, peel and rind, floral, honeydew melon, pine and a very small hint of caramel malt. Taste: Light bitterness, biscuit malt, orange peel, bittersweet tea and a hint of lemon. 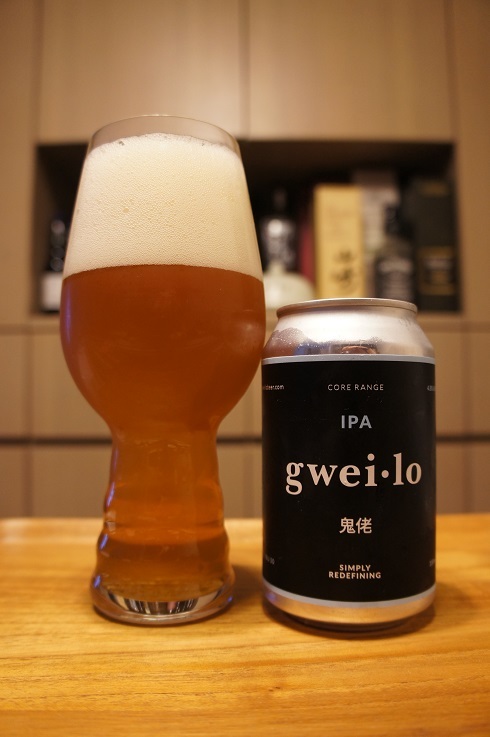 Overall: A nice and refreshing Session IPA.